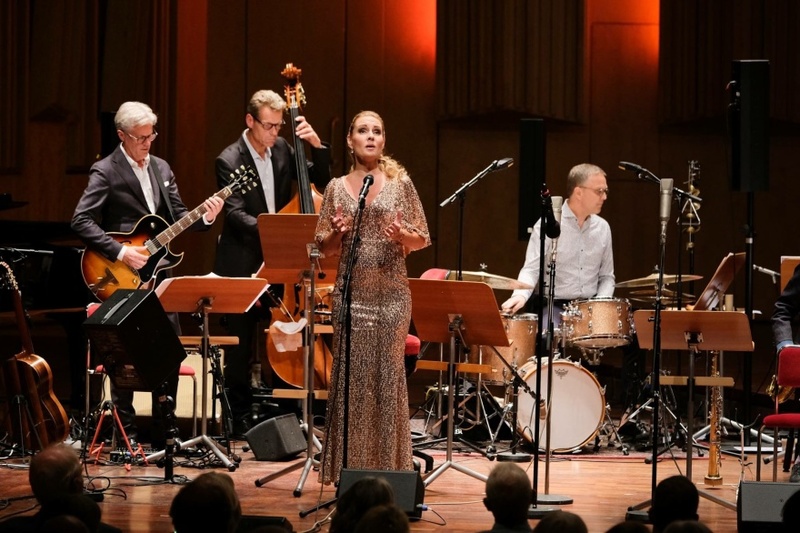 Hannah Holgersson singing during event in Stockholm. Last night I had the honor performing during an event in Stockholm. 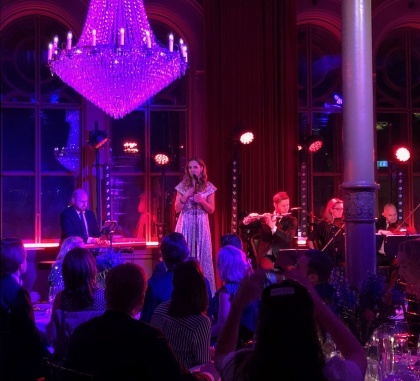 The songs of the evening had a movie theme and were chosen from the films Cinema Paradiso and The Greatest Showman. Performing with me on stage were these fabulous musicians; Joakim Holgersson, Kerstin Thörn, Thomas Ringqvist, Adina Sabin and Kristian Brink. 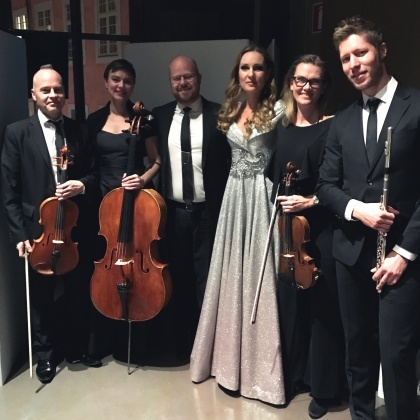 Hannah Holgersson with co-musicians Thomas Ringqvist, Adina Sabin, Joakim Holgersson, Kerstin Thörn and Kristian Brink. 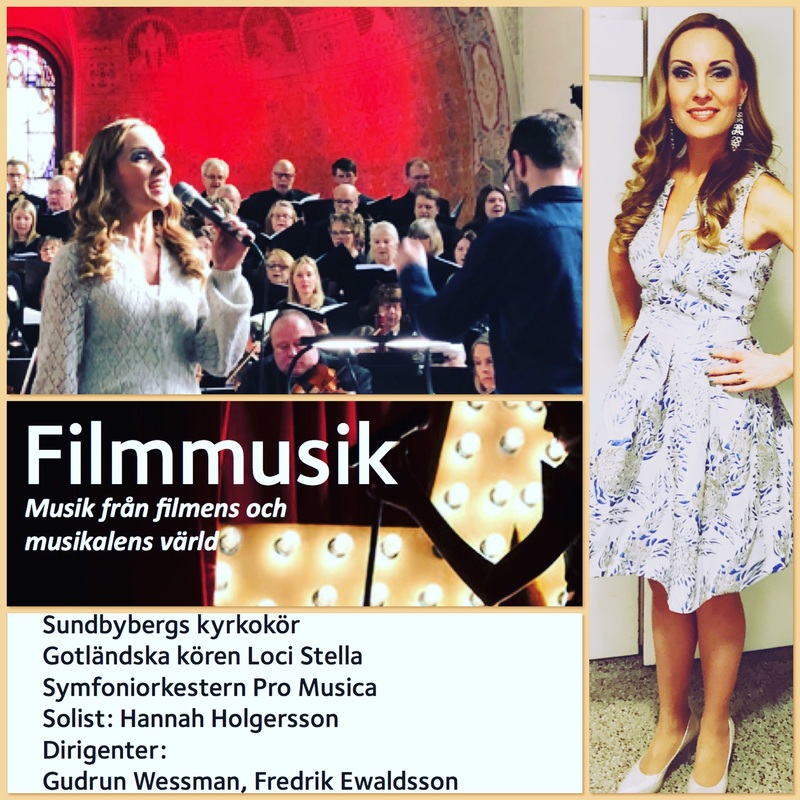 Hannah Holgersson singing film music and songs from the musical theatre at Sundbybergs kyrka. About a week ago I was a part of a film music concert in Sundbybergs kyrka. 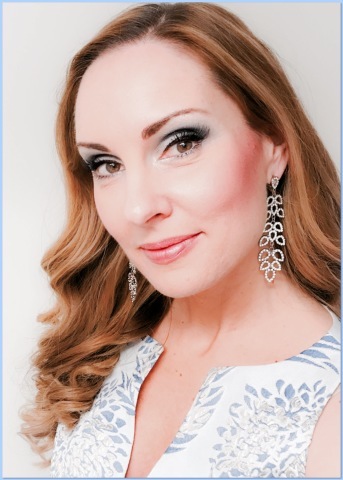 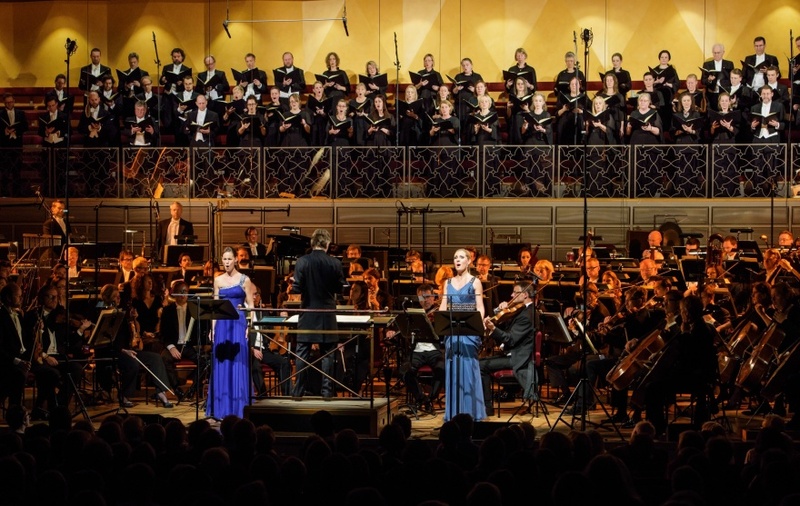 I sung some of the greatest songs from the film and the musical theatre and enjoyed the company of choirs and orchestra, the brilliant Heidi Rohlin Westin (recorder) and conductor and producer Fredrik Ewaldsson.